I would not have guessed, 12 months ago, that race in America would be the compelling subject it has been. Perhaps, as a journalist, I notice it more. I’m doing more shows about race and writing about it more, but I think all of us know we’re living through something unusual — maybe even more unusual (and certainly more disturbing) than 2008 and the election of Barack Obama. So Tuesday will be an interesting day in publishing. 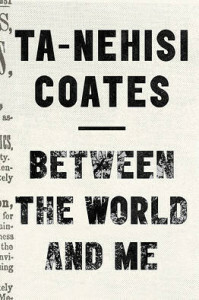 Random House decided (see above) that it would be crazy not to move up the publication of the new Ta-Nahesi Coates book, a meditation on race that so moved Toni Morrison that she anointed Coates as the writer who fills the void left by James Baldwin’s death. 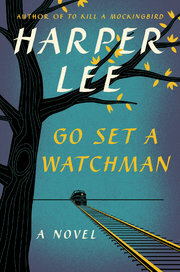 But Tuesday is also the pub date for the new-old Harper Lee novel, which the bookselling industry is attempting to ratchet up into a Harry Potter-type event. Barnes and Nobles will open two hours early on Tuesday, and people will pick up their reserved copies. Will they get in line dressed as Boo Radley? We do not know. What makes this an odd convergence — and therefore the thrust of my radio show today — is that the Lee novel is considerably more racially charged than her fans might have expected. Written before “To Kill a Mockingbird,” its rough draft of Atticus Finch is apparently not as the justice-dispensing lovable titan we met in the American classic she eventually wrote. This Atticus is narrow-minded, resistant to change and dismissive of Southern blacks. For the record, I would argue that this is almost no contradiction at all and that it, in fact, makes Finch the perfect embodiment of a basic contradiction in the American spirit. Our nation was founded on lofty rhetoric about all men being created equal while we kept black men in chains and drove “red” men off their lands. And that’s Atticus. I wish I were the first to notice this, but this Gladwell piece in 2009 notes that Atticus’s vision of justice is mostly close-up and personal. He doesn’t mind taking big risks to avert what he considers a gross miscarriage, but he doesn’t really question the system. In a separate way, I’m fascinated by the preemptive freak-out about Atticus. The way people are talking about (what they see as) the inconsistencies raises almost Pirandellian questions about the relationship among literary character, author and audience. The hard-headed part of me says that Atticus does not exist and never existed and that his appearance — in this way or that — on a printed page is a simple authorial act. But of course, he does exist in the hearts and imaginations of millions of readers, which is why this (alleged) transmutation is so hard on folks. We’ll talk about both books on the show today.